"It is, in fact, an extraordinary wine in that it combines power with supreme elegance. We often describe it as a peacock's tail. The silky, velvetiness of the tannins is complemented by a minerality which adds powerful depth and makes this grand cru one of the most sensual and complex wines. Its purple colour reflects like a jewel the purity of Pinot Noir. The aromas are extremely complex and express an entire spectrum. The floral aspect is characterised by notes of peony, roses and violets.The spicy aspect of notes of liquorice, vanilla and coriander. 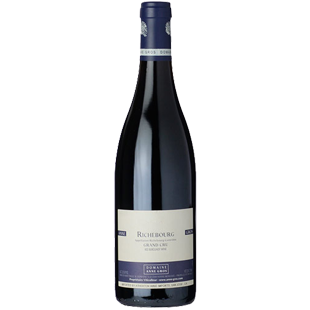 The fruit aspect by notes of red and black fruit (raspberry, blackcurrant) The vegetal aspect by notes of undergrowth, methyl, fresh cut herbs."